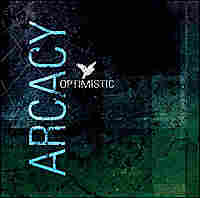 Arcacy: 'Optimistic' Arcacy is a self-described "optimistic" band from Oklahoma and New York, in what they call a "musical long distance relationship." When the musicians in Arcacy are all in the same vicinity, they create introspective pop songs that deal with love, loss and the mysterious human experience. The members of Arcacy hail from New York and Oklahoma, producing music in what they call a "musical long-distance relationship," with three of the band's four members living in the vicinity of the Big Apple and one residing in Oklahoma City. 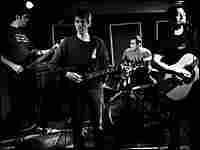 Arcacy makes do with sporadic practice sessions and the occasional show. Arcacy makes music by way of New York City and Oklahoma. The Oklahoma dweller, Doug Vrooman, is one-half of Arcacy's vocal duo. The other half is Steve Green, followed by drummer Pete Kostakis and bassist Don White. 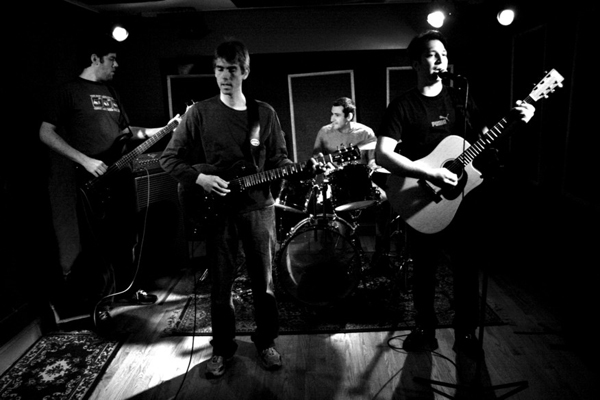 The group started as a trio in 1998, later picking up White as bassist in 2003. When Arcacy are in the same state, they get together to create catchy, upbeat pop rock that "explores the spectrum between hope and despair." The featured song is the title track to their album, Optimistic. The band calls the song a meditation on "realistic optimism based less on faith than on an understanding of the workings of time."